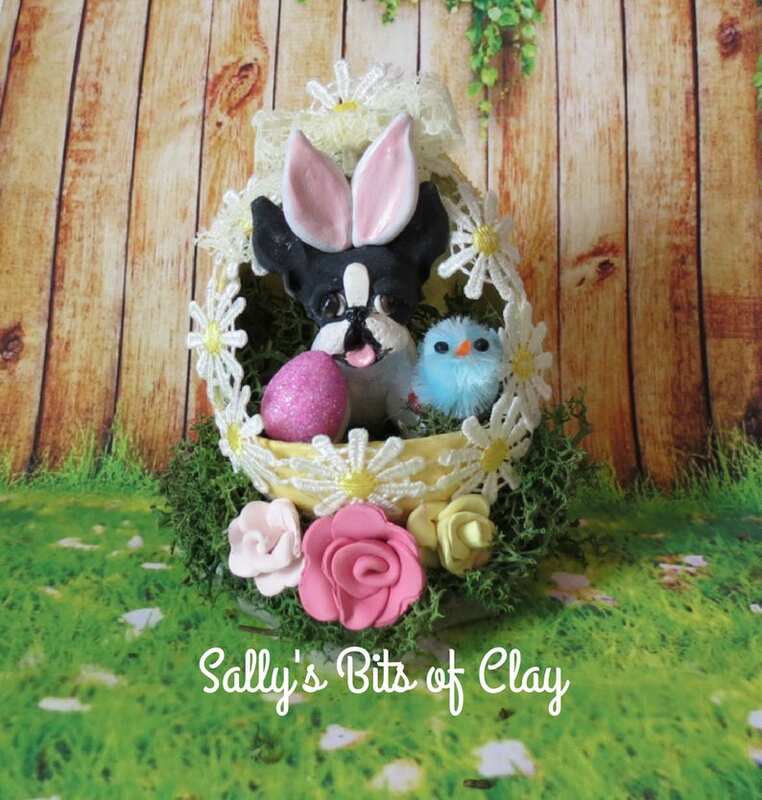 Black and White Boston Terrier dog -Easter Bunny in Egg. I hand sculpted the whimsical dog with high quality polymer clay. Some details are hand painted. The large egg is paper mache', and I painted it a pretty pastel glittery blue color. I have added a lovely floral fabric trim around the opening in the egg. I also added a clay base, clay flowers and dried reindeer moss. Several hours went into the creation of this lovely Easter keepsake. It is heirloom quality and meant to last a lifetime. It is signed and dated by me and from a smoke free home.